The content of the National Strength and Conditioning Association’s (NSCA) Certified Strength and Conditioning Specialist® (CSCS®) Online Study Course reflects the weighting and scope of the CSCS exam, which is widely recognized as an esteemed credential for strength and conditioning professionals. The NSCA and Human Kinetics jointly developed this online course to help people study for the CSCS exam. 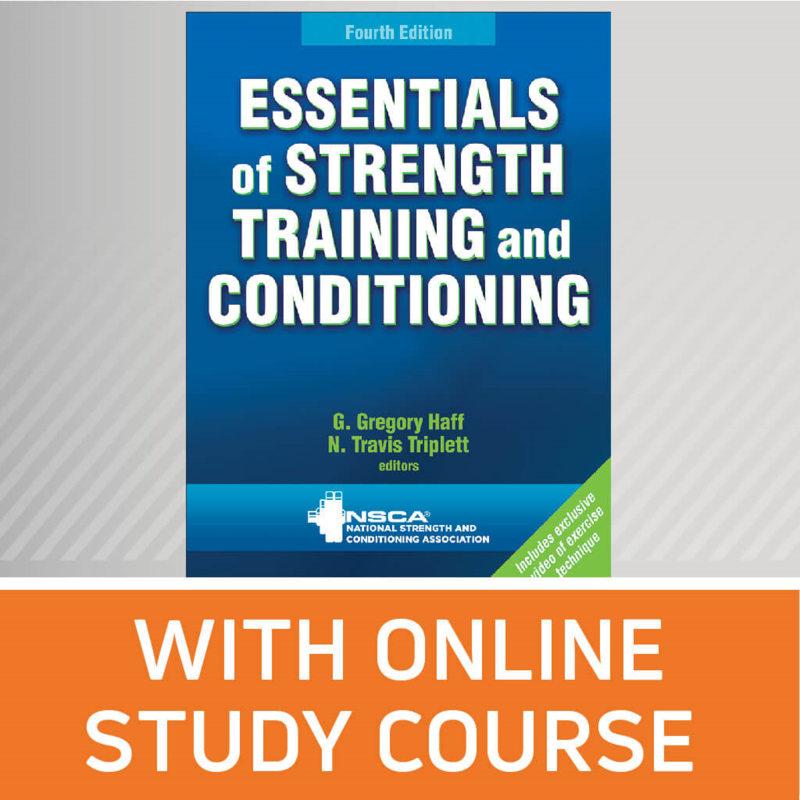 This online study course works in tandem with the materials presented in Essentials of Strength Training and Conditioning, 4th Edition, to offer a practical and efficient method of studying the content assessed on the CSCS exam. The CSCS Online Study Course has varying levels of recall, application, and analysis learning activities for each primary objective designed to reflect the weighting and scope of the CSCS exam. Featuring over 160 interactive learning activities, this online study course offers scientific knowledge and practical application and pinpoints the information required for preparing for the exam. The content covered relates directly to the on-the-job duties and responsibilities of a strength and conditioning professional, and an end-of-course test evaluates the learner’s content knowledge, mimicking the scope and difficulty of the actual certification exam. Current certified professionals who complete the course and pass the test can earn continuing education units (the number is determined by each organization). 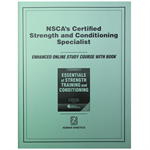 The course is supplemented by content from Essentials of Strength Training and Conditioning, 4th Edition, the primary textbook of the NSCA for preparing for the CSCS exam. This textbook also serves as a valuable professional reference after the course is completed. 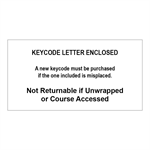 The course can be successfully completed using either the third or fourth edition of the textbook. The information presented in the course assists exam candidates in the studying process. It should not be considered the only method of preparing for the CSCS exam. Ultimately, it will be each candidate’s academic, practical, and test-taking abilities that dictate the effectiveness of the preparation materials. The information in this study course should increase the likelihood of passing the CSCS exam, but it does not guarantee a successful performance. Understand muscle anatomy and physiology. Understand neuromuscular anatomy and physiology. Understand the principles of biomechanics regarding exercise selection, execution, and sport performance. Understand cardiopulmonary anatomy and physiology. Understand physiological adaptations to exercise. Understand the anatomical, physiological, and biomechanical differences of athletes. Understand the psychological techniques used to enhance training and performance. Explain nutritional factors affecting health and performance. Explain the strategies and results of manipulating food choices and training methods to maximize performance. Explain the effects, risks, and alternatives of common performance-enhancing substances and methods. Describe, teach, and evaluate proper resistance training exercise technique. Describe, teach, and evaluate proper plyometric exercise technique. Describe, teach, and evaluate proper speed/sprint technique (resisted and assisted sprinting, speed-strength). Describe, teach, and evaluate proper agility technique (forward, backward, and lateral movements; turn, transition, and stop-and-go maneuvers). Describe, teach, and evaluate proper aerobic endurance exercise technique. Assess the athlete, including training status, physical testing and evaluation, and primary training goal. Complete a movement analysis of the sport, including sport-specific exercises and muscle balance. Consider equipment and time availability. Consider training status to determine training frequency. Consider the sport season to determine training frequency. Consider training load and exercise type to determine training frequency. Consider other training to determine training frequency. Use appropriate terminology to quantify and qualify mechanical work. Consider the relationship between load and repetitions. Consider 1RM and multiple-RM testing options. Assign load and repetitions based on the training goal. Determine the variation of the training load. Determine the progression of the training load. Consider multiple versus single sets. Consider strength and power variables. Consider the effects of hypertrophy. Determine how to design, layout, and organize the strength and conditioning facility. Create a safe training environment within the strength and conditioning facility.